Every year my daughter and I like to plant vegetables in our vegetable patch out back. It’s a great way for her to learn how plants grow and for me to introduce her to new vegetables. Sometimes I buy vegetable plants at our local garden center, but a lot of the time I start seedlings from scratch indoors. 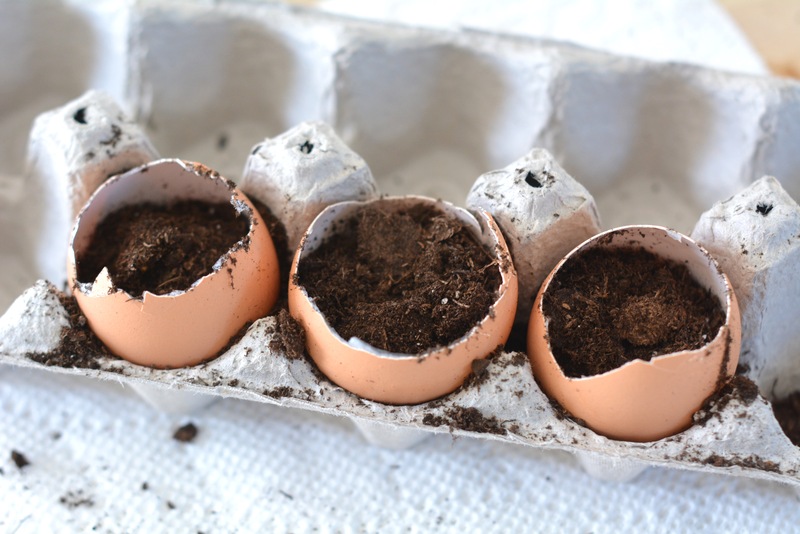 Last year I was introduced to the idea of starting seedlings in eggshells. 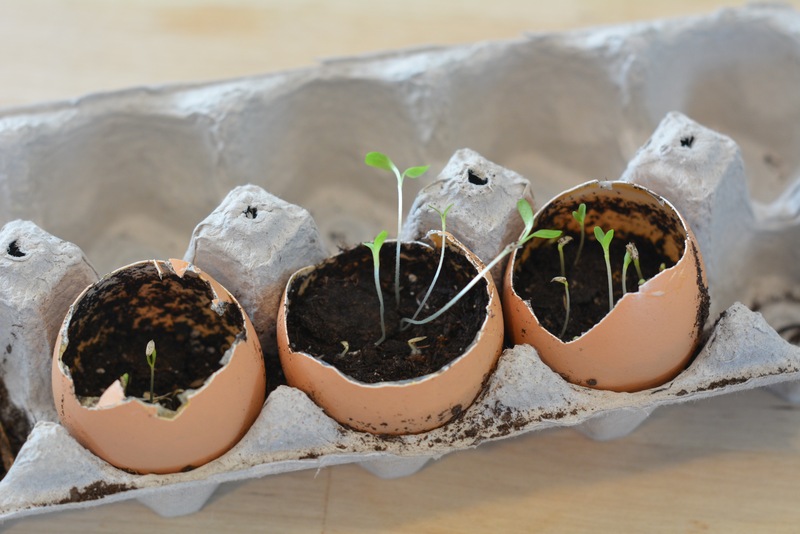 They are the perfect size for a little seed to grow in, and they are completely biodegradable. That means you can plant the entire shell right in the ground and it will break down naturally. Here is how we started some lettuce seeds recently. Step 1: Since lettuce likes cool spring weather, we decided to grow it first. I picked up an inexpensive packet of seeds at the grocery store. We hollowed out four eggs and rinsed the insides. I kept the eggs to make scrambled eggs for lunch. 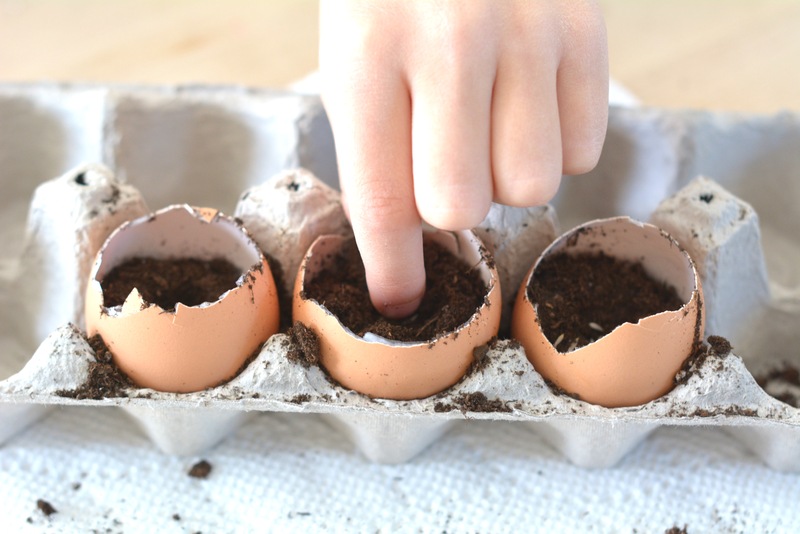 Step 2: We filled each egg with fresh potting soil from the bag. I saved an old egg carton for holding the eggs. Step 3: Next, we planted a seed in each one according to the depth listed on the back of the seed packet. Each plant is a little different, so be sure to make sure you plant the seed at the correct depth. 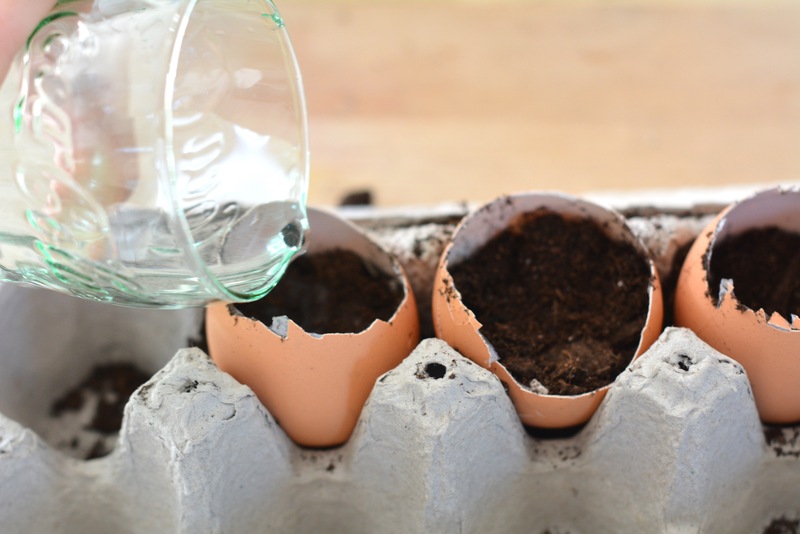 Step 4: We watered each eggshell and placed them in a warm, sunny spot in the kitchen. Step 5: After about ten days, we began to see little plants spring up. 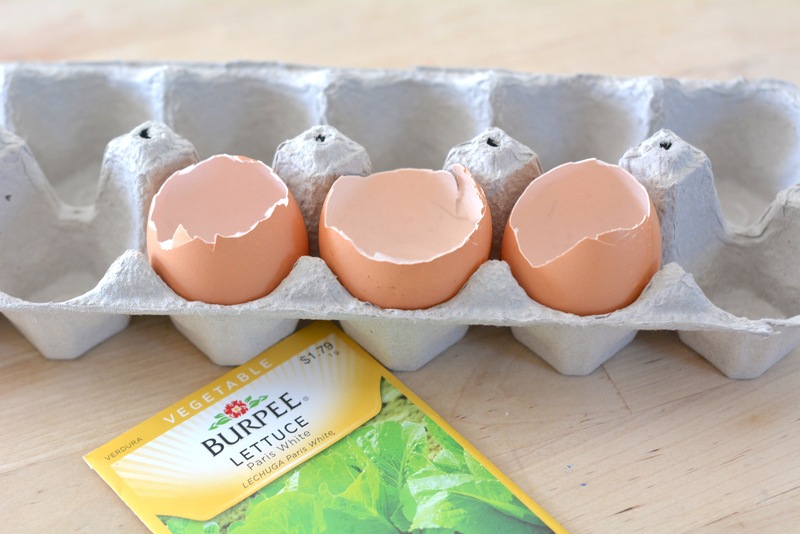 Once the plants are about three inches tall and we have no more threat of frost or snow outside, I’ll plant the shells in the garden so the lettuce can continue to grow.